INCREDIBOX [ Official website ]. Fivexperience.com – Pulse – Music Generator. にょきにょきシンセサイザー(Hex-cylindrical arpeggiator) – wonderfl build flash online. Free Collaborative Music Recording Software | ScratchAudio.com. 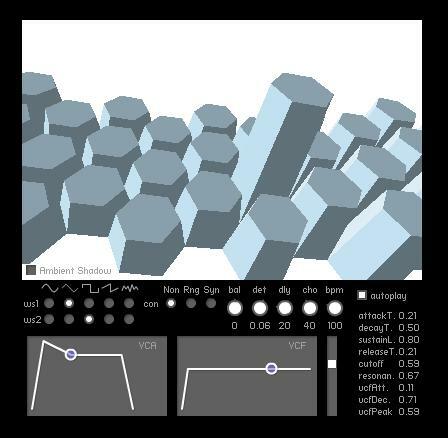 Patchwork: Modular Sound Synthesis in Flash. JamStudio.com – Create Music Beats – The online music factory – Jam, remix, chords, loops.